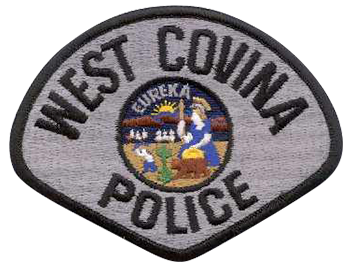 West Covina Police Department is strategically located in the San Gabriel Valley, 19 miles east of the city of Los Angeles and covers 17 square miles. Reserves presently are paid minimum wage and is increased with rank. Reserves are issued all safety equipment, however are responsible for uniforms and maintenance. Reserves are not given a uniform allowance. Reserve cars are one man units with one reserve supervisor each night/day. Four cars are assigned to 3 areas of the city each day with the Reserve Sergeant covering the entire city as a supervisor. Training (a high priority with the department) is the same as the regulars. Field training for the Reserve Officers is conducted by regular FTO’s. Each Reserve Officer is trained as a Regular Officer. There are presently two reserve officers assigned to the Narcotic/Gang suppression unit. They conduct surveillances, write search warrants, reports and augment the “Regular” Narco/Gang Team and supervised by the Lead Narco/Gang Detective (gangs@wpcd.org). There are also four reserves assigned to a Warrant Team who serve warrants within the city.